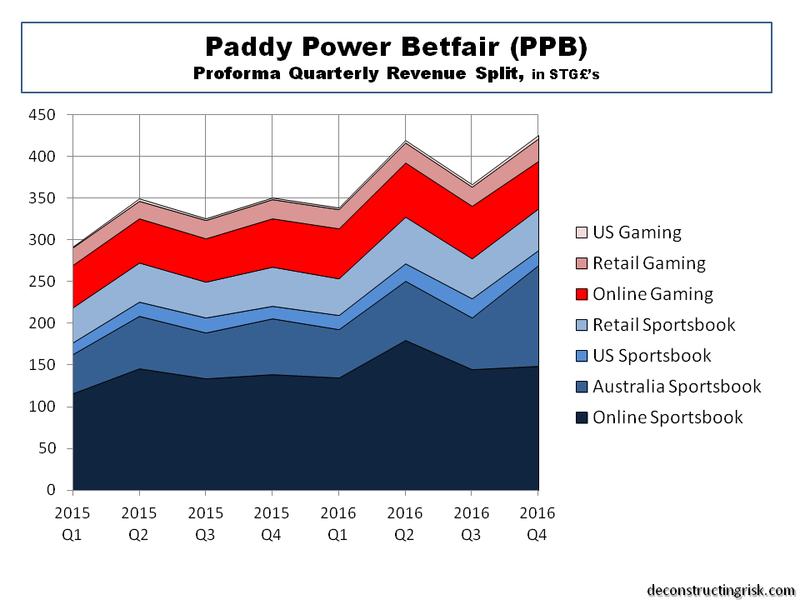 It has been about 6 months since I posted on the gambling and gaming sector (also earlier here) and there has been a lot going on. 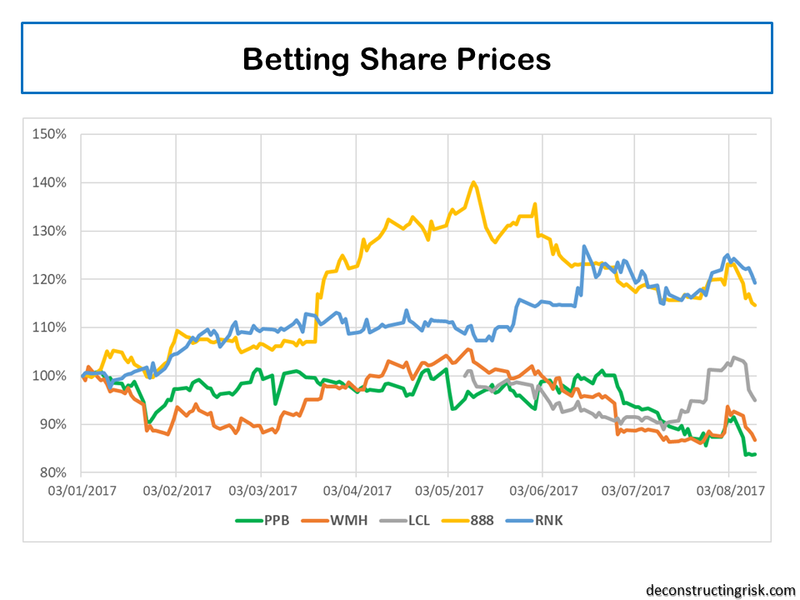 BWIN, after being on the block for some time, is closing in on a sale of its business with 888 and GCV (in conjunction with PokerStars and FullTilt owner Amaya) the speculated favourites. 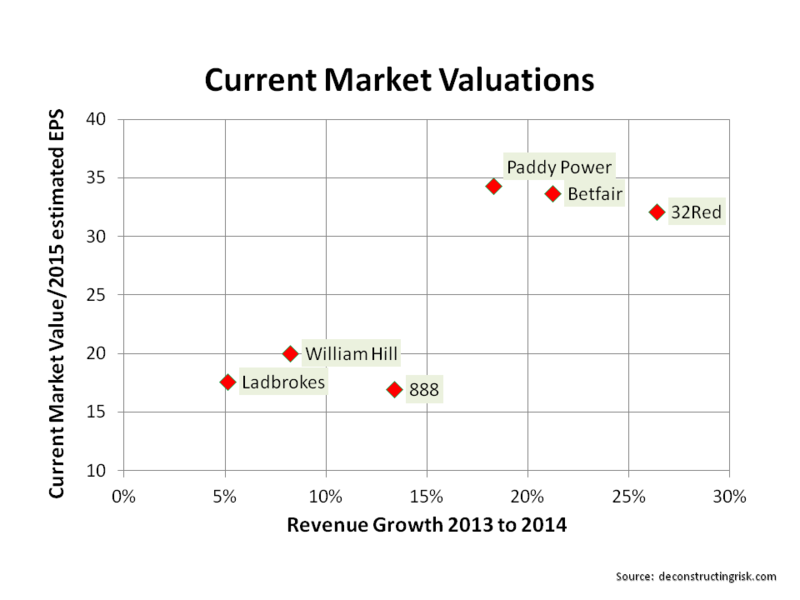 888 itself rejected an offer from William Hill earlier in February this year. 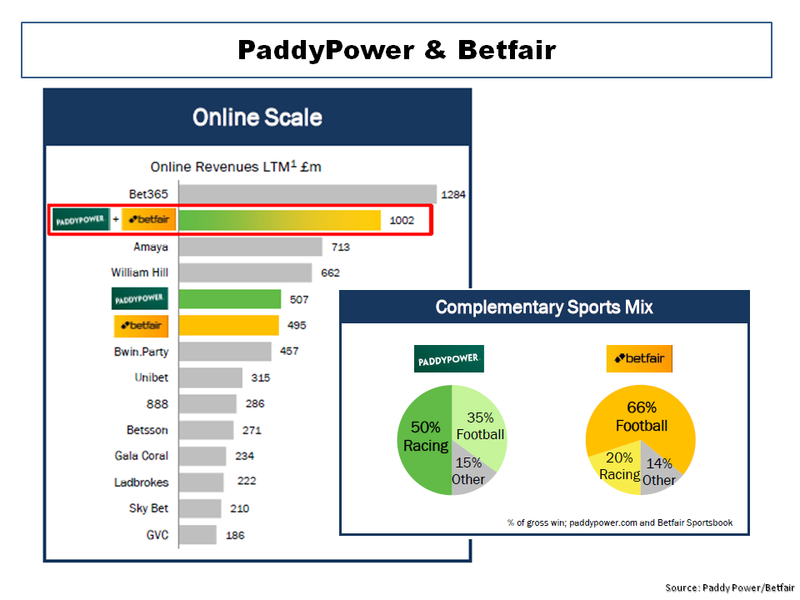 Meanwhile, Betfair and PaddyPower opted to return their cash piles of £200 million and €440 million respectively to shareholders rather than get involved in any M&A. 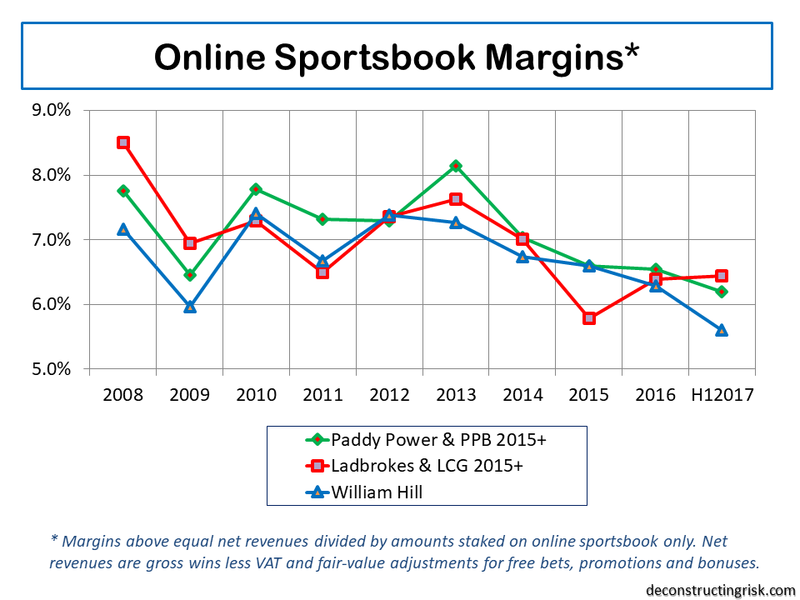 Ladbrokes, after a series of poor results, promoted the digital head Jim Mullen to CEO who is currently involved in a route and branch review of the firm with the outcome due to announced in June. His first move was to put the Irish business into examinership. 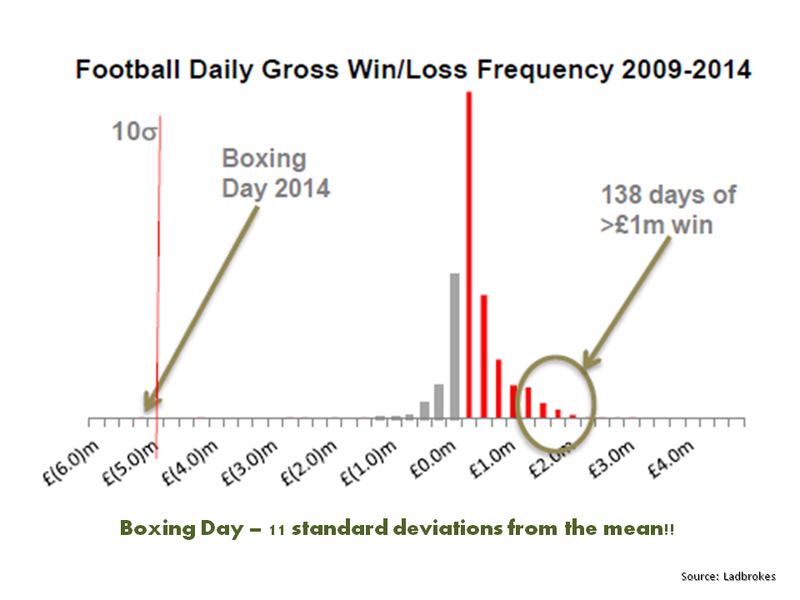 Ladbrokes woes have continued with poor gambling Q1 results, continuing a run of bad luck after a disastrous boxing day football gross loss, as the exhibit below shows. 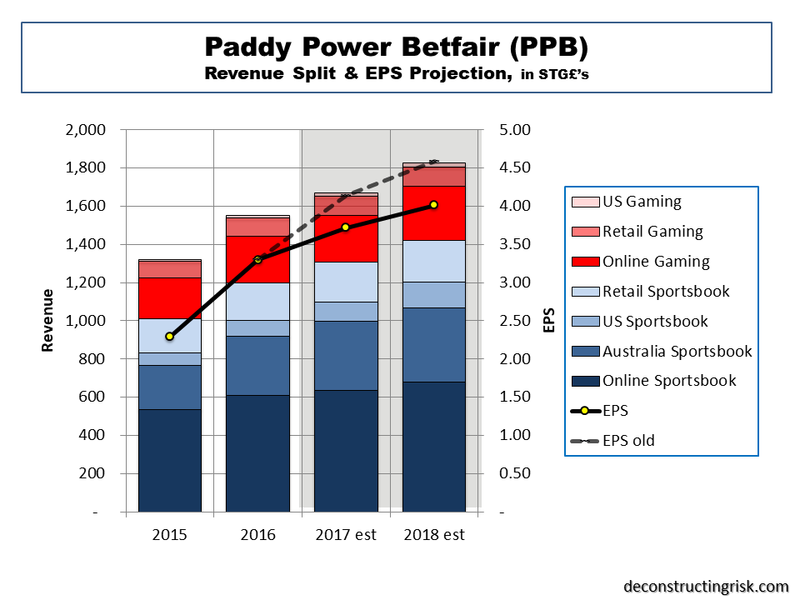 As can be seen by the graph below, Breon Corcoran’s rehabilitation of Betfair’s exchange model has resulted in an outstanding performance with a near doubling of the stock. The ex-Paddy Power executive has delivered on his plans for the betting exchange (as detailed in this post). 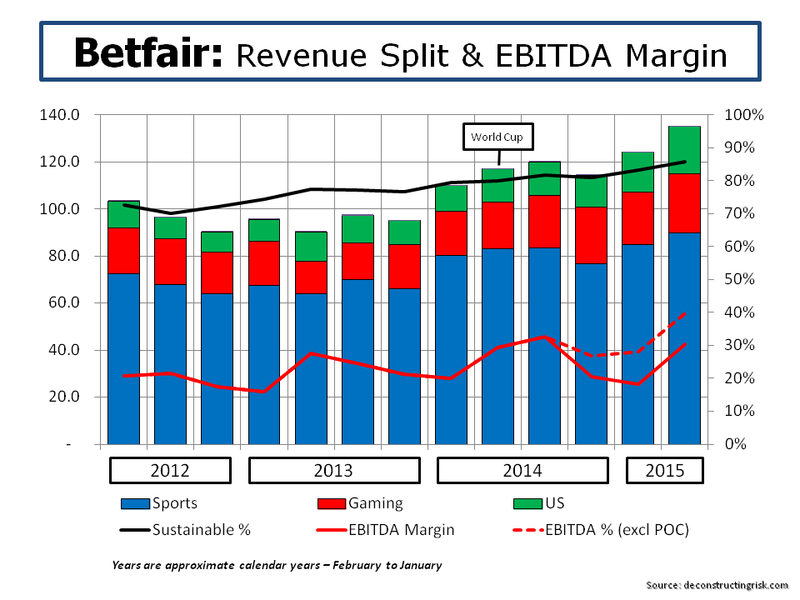 [Update: Numis just released a note on Betfair’s rich valuation as per this article.] 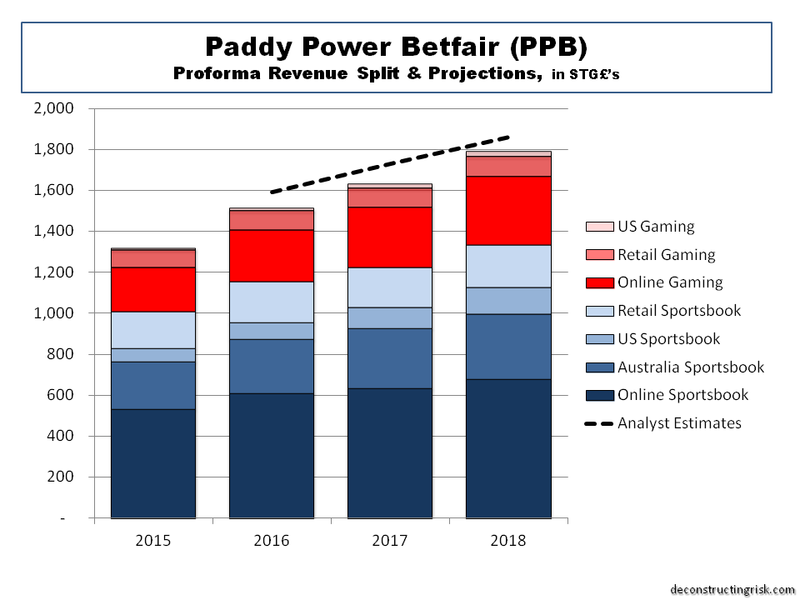 The tiny casino player 32Red has also had a good run due to solid 2014 results and M&A speculation. 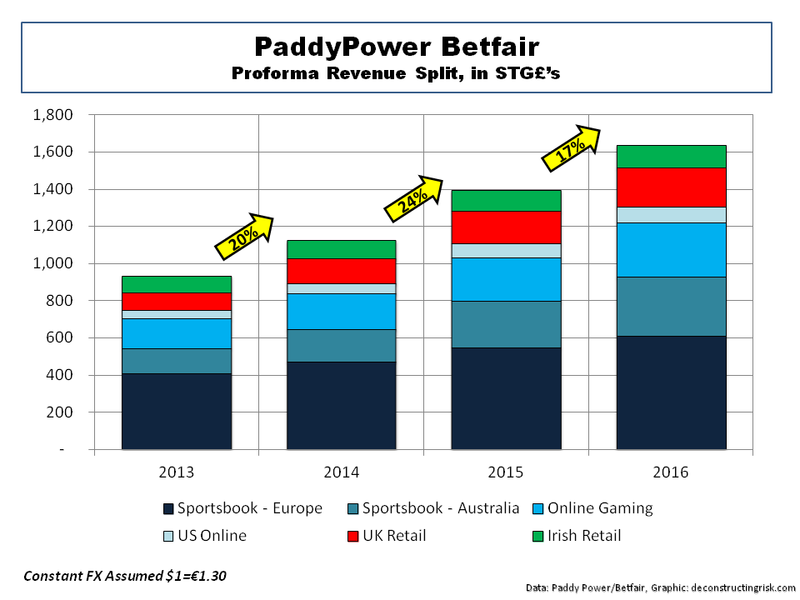 Internal candidates in William Hill and Paddy Power, James Henderson and Andy McCue respectively, also took over the CEO role. The challenges for the sector are considerable. 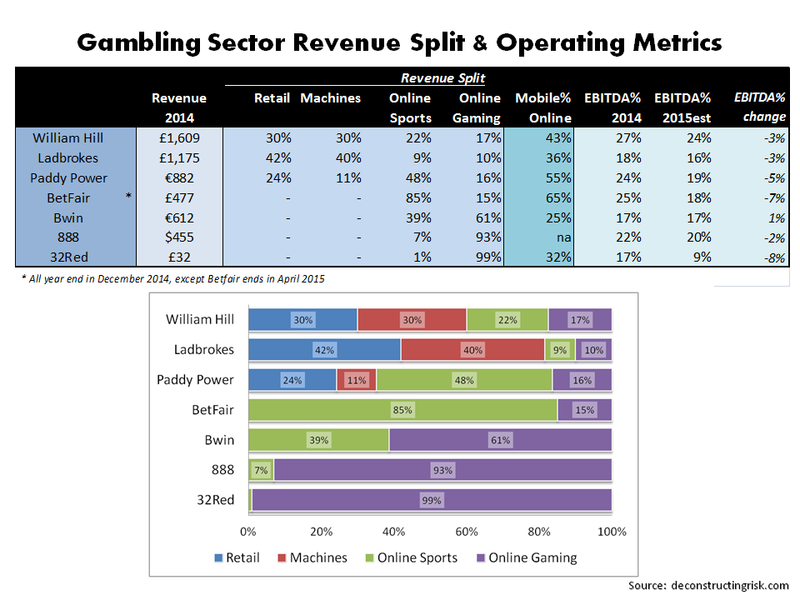 In the UK, the point of consumption (POC) tax of 15% has been in force in the UK since December and a new 25% rate of Machine Games Duty (MGD) applied from the 1st of March. 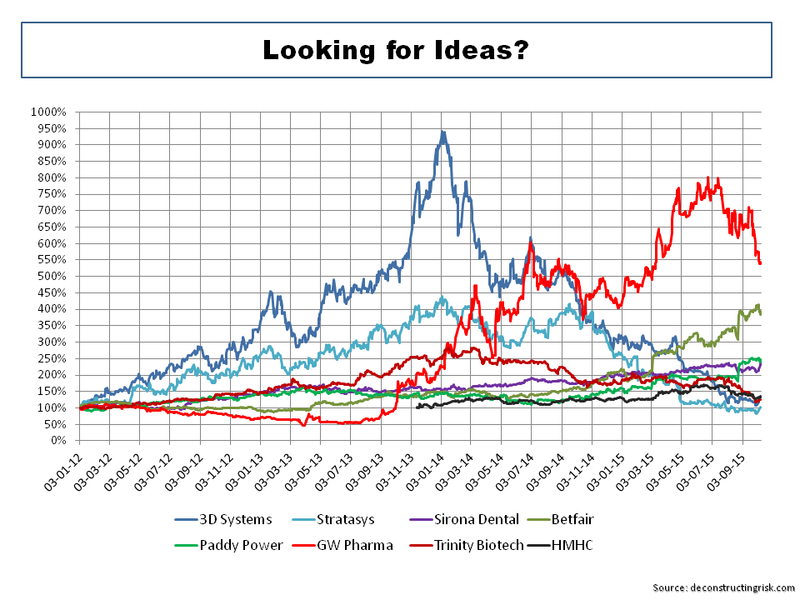 Uncertain regulation across Europe and the lack of traction in opening of US markets are other headwinds. 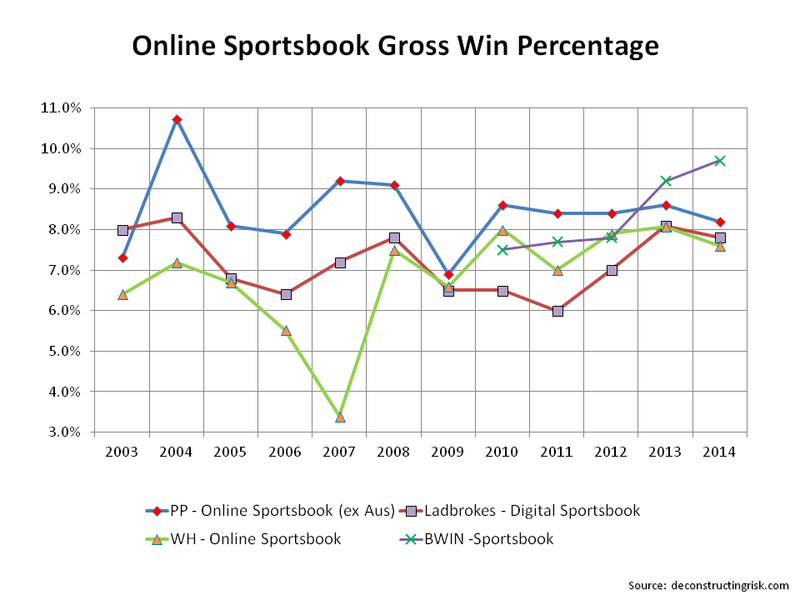 Operator’s ability to reduce pay-outs to punters to counter tax increases is restricted by the competitive nature of the market, particularly online as the graph below on gross win percentages illustrates. 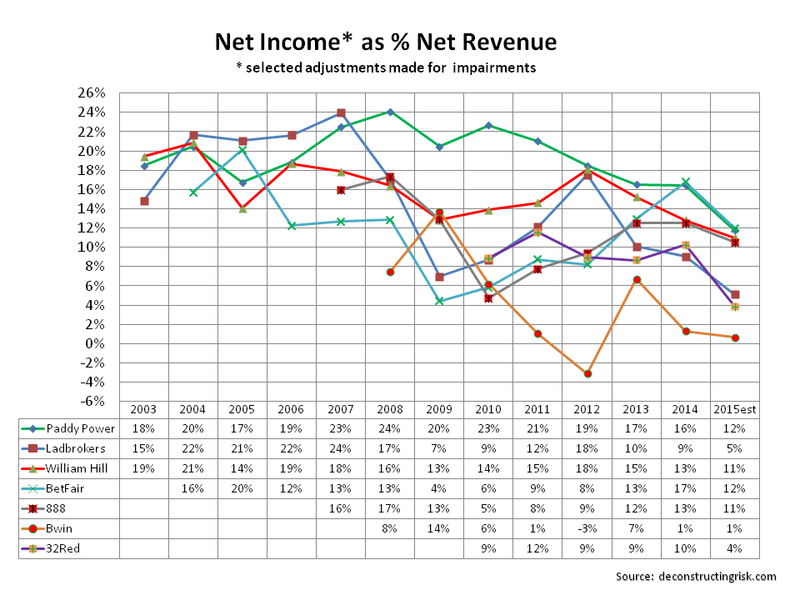 Taking the commentary from the operators on the impact of increased taxes, I estimated the likely impact on net margins for a number of firms (as the graph below shows). 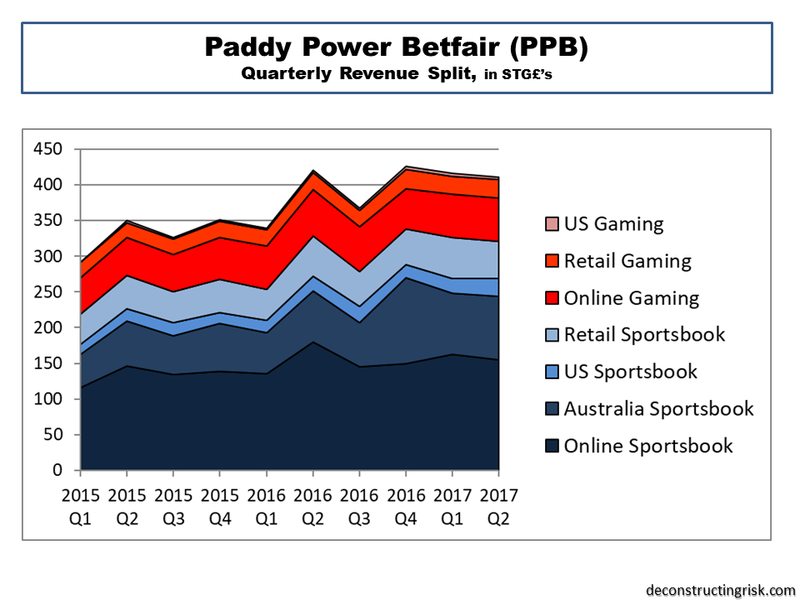 The market is giving Betfair and Paddy Power credit for their recent revenue growth, strong operating results, product development and strong mobile adoption. 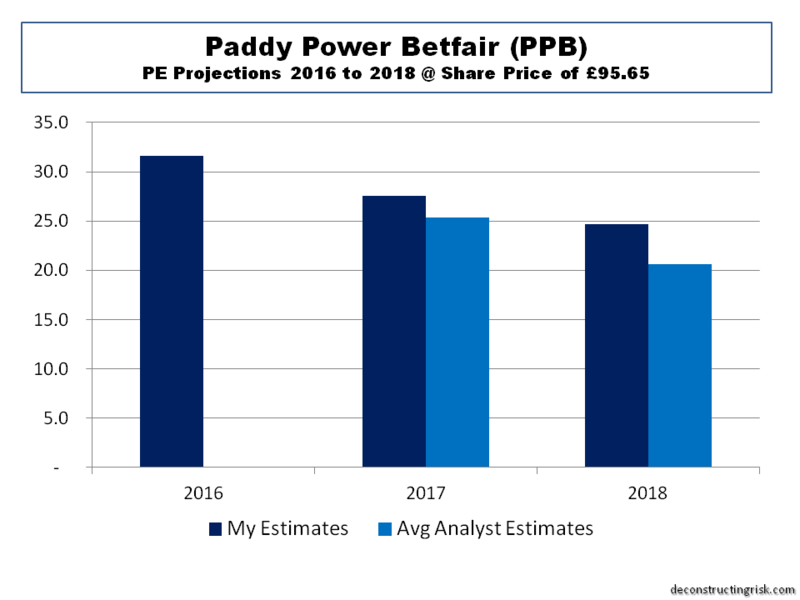 Based upon my estimates, both trade on a 2015 PE in the low 30’s. A brief review of the business profile of a selection of firms illustrates the differing models, as per the exhibits below. 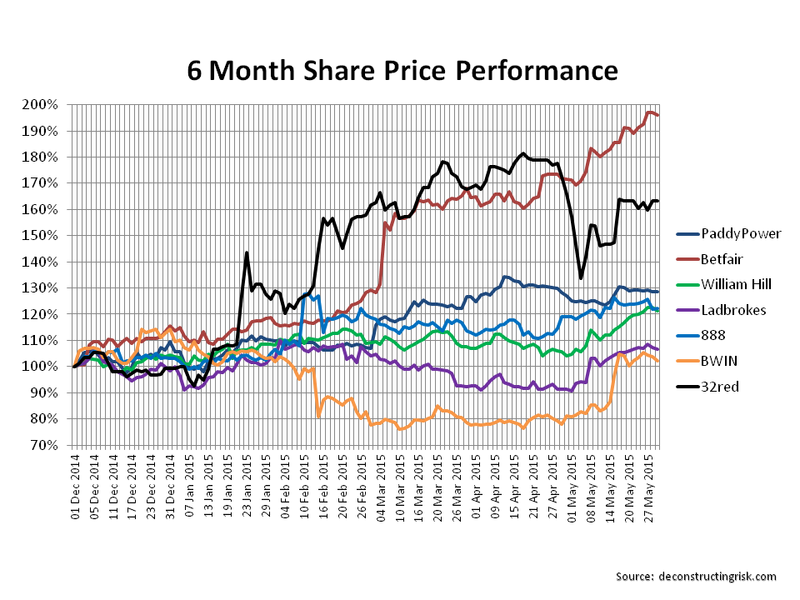 It will be fascinating to see how the remainder of 2015 plays out for this sector. Scale is undoubting going to be a strength for firms in the future. 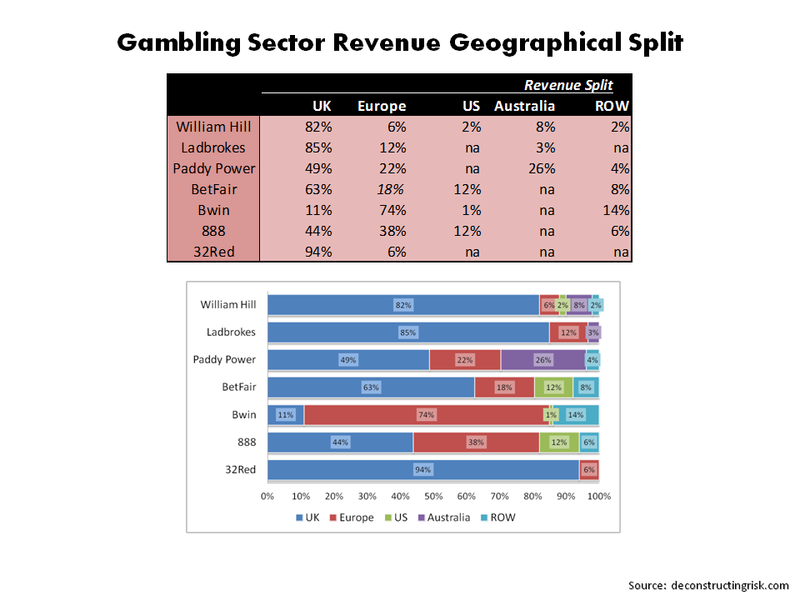 What the large UK operators, Ladbrokes and William Hill, will do to counter headwinds will be intriguing. 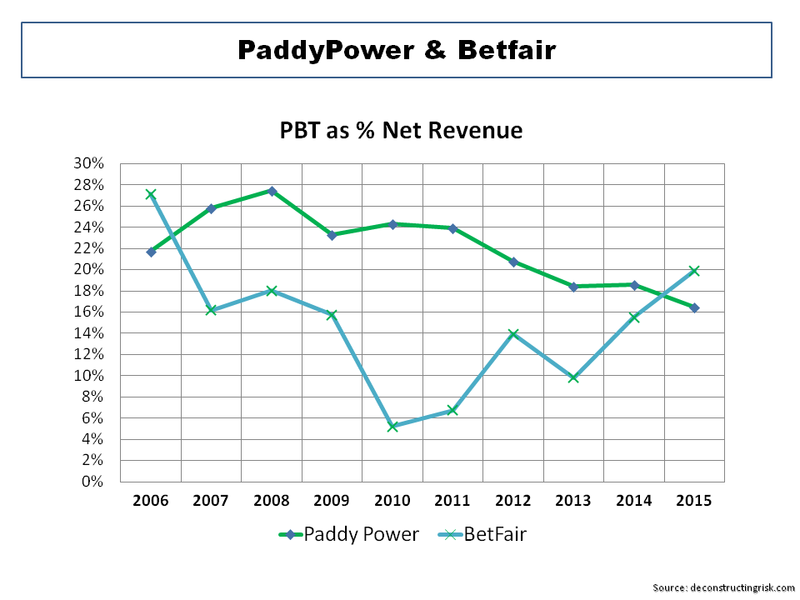 Although there is nothing to suggest it is remotely likely, it occurs to me that a tie-up between Paddy Power and Betfair would make a powerful combination.